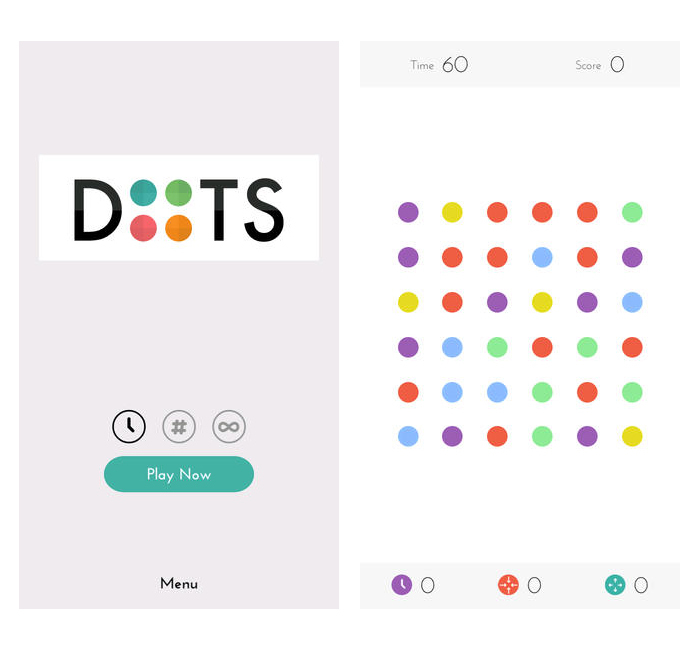 Dots is a nice little gaming app that was developed by New York based, Betaworks One. The game is very simple; try and connect as many same-colored dots as you can using only vertical and horizontal lines in 60 seconds, in 30 moves, or you can play it in endless mode. Dots interface is extremely clean and simple and has a social media connection allowing you to connect to your friends via Twitter or Facebook to see your friends high scores. Weekly score boards reset every Sunday, giving you a chance to make it to the top of the list and enhance the competition across your network. Since it’s release Dots has jumped to the number one mobile game in twenty countries, with good reason. The simple clean interface and engaging user experience makes Dots highly addictive. Posted in Android, iPad Apps, iPhone Apps and tagged Betaworks One, Design, Dots, Facebook, Gaming, Social Gaming, Social Networks, Twitter, UI, UI Design, UX on October 31, 2013 by Author.